The CZ 527 Carbine now has a youth variant. Though the action and barrel stay the same, the Turkish Walnut stock has been shrunk in nearly every dimension. With a 12.75" length of pull, smaller pistol grip with tighter radius and a thinner forend, the Youth Carbine makes an ideal first deer rifle. 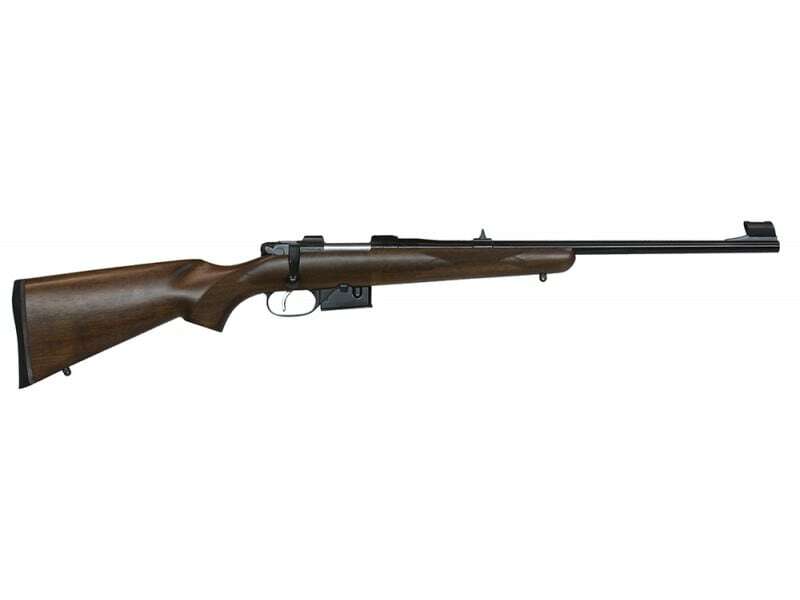 Chambered in 7.62x39, this carbine is more than capable of taking deer-sized game while delivering less felt recoil compared to many youth offerings on the market. Paired with CZ's smooth micro-Mauser action and single set trigger, a standard Carbine stock can be added as the shooter grows, so its small size won't relegate it to the back of the safe a few years down the road. Built to CIP specifications, the 7.62x 39 chambers are ideal for shooting steel-cased surplus ammo. Designed to shoot .311 bullets, some American brass ammo may not perform as well as the imported steel-cased variety because of SAAMI brass dimensions and varying bullet diameters.